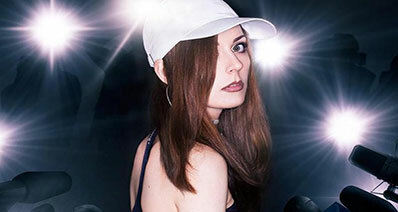 You have been doing the long way of transferring all your favorite music to your iPod manually. It has been the standard since the start because of the absence of a single platform that allows you to transfer music from multiple devices. Today, with the help of the developing technologies, iSkysoft presents you a single platform that allows you to transfer songs directly from your Android phone to iPod. Step 1. Download and install the trial variant of the software. Connect both Android and iPod devices to the computer. Launch the program. The application will detect both the devices and the information is available under the “DEVICE” category. Note: If you do not see your Android device, you have to disconnect the device, open the Settings app, and activate USB debugging mode. If you are unable to see your iPod device, you have to tap “Trust This Computer” to allow the software to recognize the instrument. Step 2. 1-click transfer: Click the device icon on the menu to display the Android gadget. 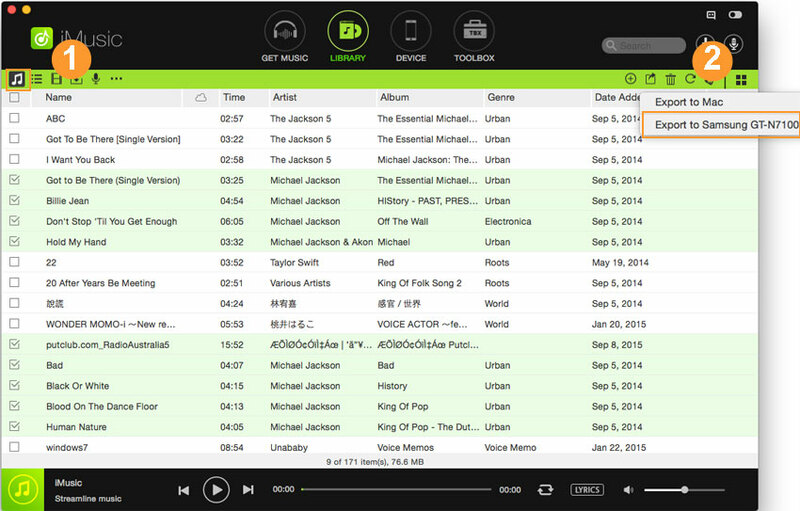 You can transfer the music by using two options – copy entire music collection or select only a few tracks. If you like to transfer the entire media files, then click “Copy Music to Other Device” feature and choose the connected iPod. A pop-up message opens up telling you the details of the transferring process. Step 3. Selectively transfer: If you want to transfer selected songs, then press the music icon from the menu bar. 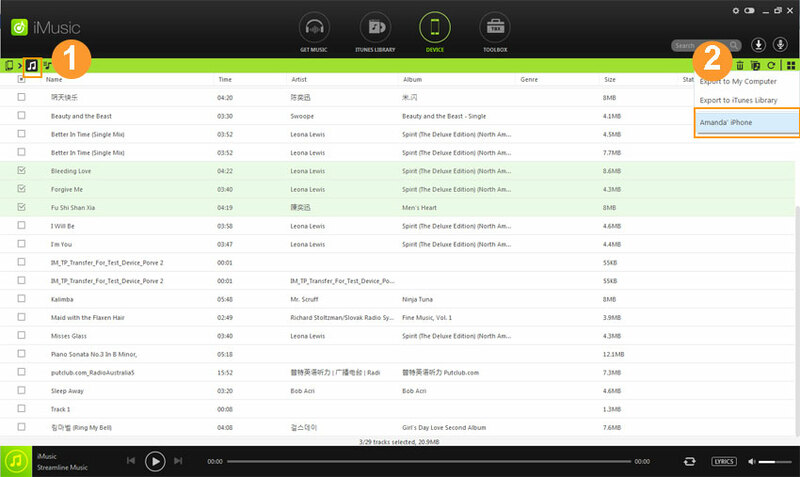 It will display the music content on your Android device. You can then checkmark the songs that you would like to copy to your iPod and click the export icon to transfer them to the connected iPod. Step 1. Launch the application and plug your Android device to the Mac. The program detects the device automatically. Ensure that USB debugging mode is active on the device. Step 2. From the main interface, choose “Copy music from device to iTunes” option. Click the option will scan the device for all the media files. You have to check music and press “Transfer” to copy the songs to the iTunes library. Step 3. Disconnect the Android device and connect your iPod. You will see the details in the main interface. From the menu bar, press “LIBRARY” icon to display all the music in iTunes library, including these you have imported from Android phone. Check the needed songs and click the export icon, select to export to your iPod. The process is a tedious task. Firstly, you need to connect your Android device to your system. If you are using Windows PC, then you can select the “file transfer” option from your device to allow transfer of data. You can browse to the media files on the internal memory and external SD card. You can copy selected songs or the entire folder. Selecting individually will consume plenty of time because you have to browse the folder, choose the song, and copy to the system. After completing the transfer, you can disconnect the device. Now, you have to open your iTunes. From the library, choose Add option to select the songs that you copied from the instrument. It will update the library. Then you have to connect your iPod to the system and begin synchronization. 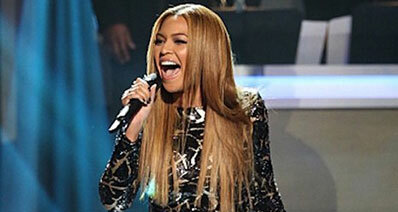 The process will refresh the library and erase the previously held music content. The entire method is time taking, and you will unquestionably want a simple solution, which you have it in the form of iMusic from iSkysoft. 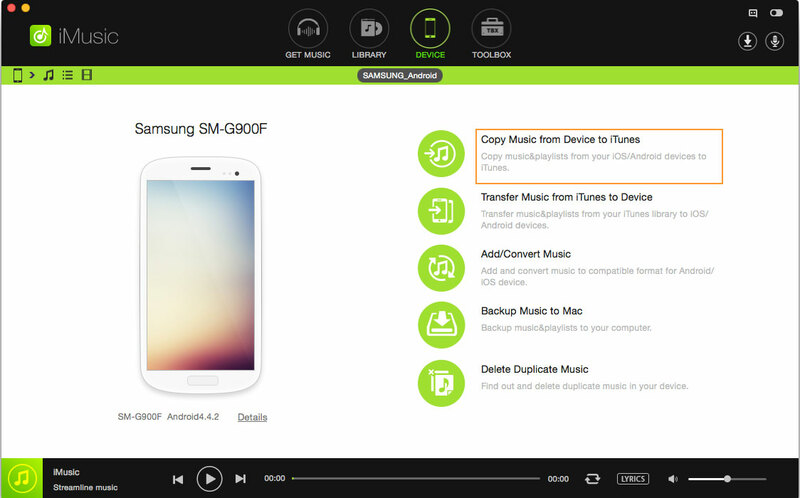 With a single click, you can transfer music from Android to iDevices with ease. 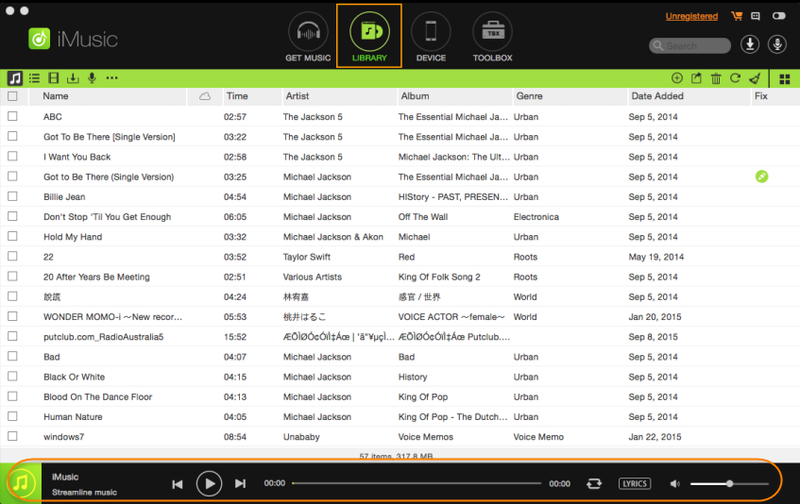 Discover: The program has built-in music library from which you can download all your favorite songs. 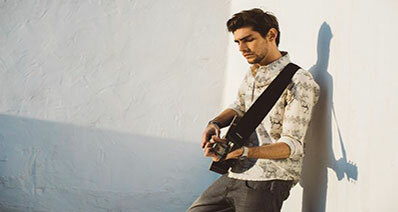 You can search for all your favorite artists, happening playlists, and genres. Download:The application is capable of downloading music from over 3,000 sites that includes established websites such as Spotify, YouTube, last.fm, Vimeo, VEVO, Facebook, and other popular music streaming and hosting sites. Record: You can use the recording feature present in the application to record streaming audio. After completion of the recording, the program downloads the ID3 tags including the album art. 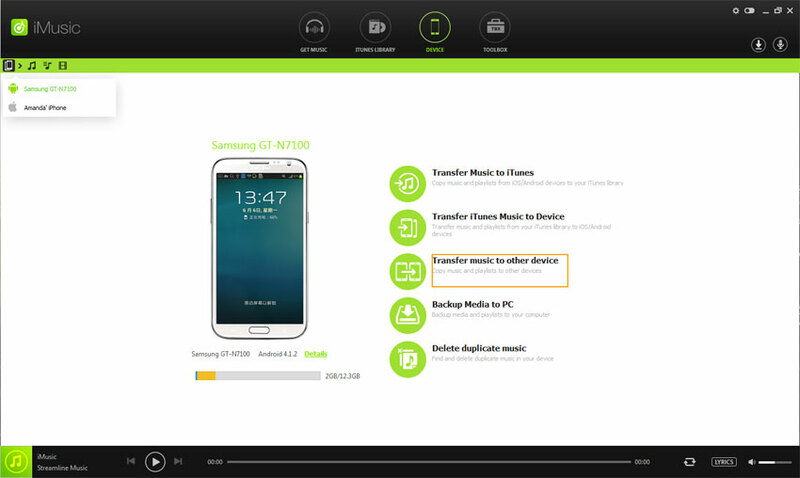 Transfer:Transfer music from all of the Apple devices and iTunes without any limitations. Additionally, the program checks for duplicate files and erases them automatically. 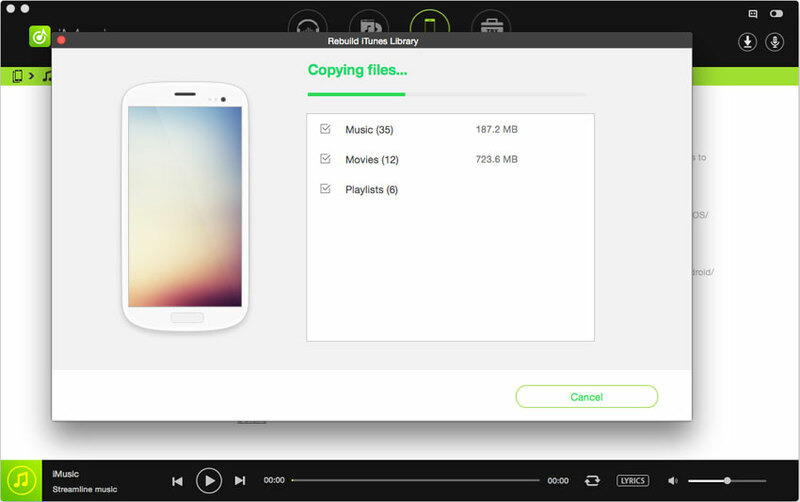 The transfer option further allows you to copy music from your Android device to iTunes and Apple devices directly. Backup: Create a backup of the songs and transfer them to a new computer with ease. iMusic allows you to copy all the music from your devices back to iTunes with a simple procedure. Fix: The option allows you to fix iTunes, which includes removing duplicate tracks, fix mislabeled songs, adding album covers, and clean broken tracks. Toolbox: You can manage your collection on Android, iPod, iPad, and iPhone, fix iTunes, backup library, transfer content, remove DRM, and much more.